Will Pope Francis return to the Philippines in 2016? MANILA, Philippines - Manila Archbishop Luis Antonio Cardinal Tagle on Monday revealed the possibility that Pope Francis will return in the country next year for the International Eucharistic Congress. Tagle said Pope Francis has been invited by the Catholic Bishop's Conference of the Philippines (CBCP) to the event in January 2016. In the press conference held after the departure of the Vatican pontiff on Monday morning, Tagle added that the congress will be held in Cebu. 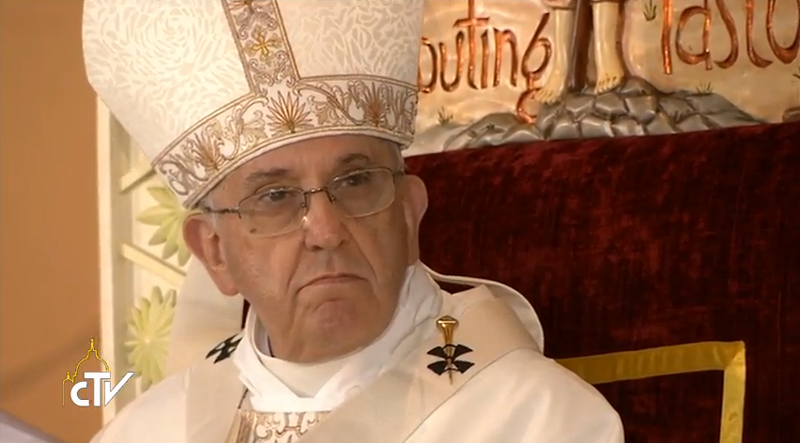 Meanwhile, the Pope has yet to decide whether he will come to the eucharistic event. ''Ngayon, dahil nga nagpunta na siya para sa ''Mercy and Compassion'', tignan natin. Kung pupunta siya, wow! Salamat,'' Tagle said. The 51st International Eucharistic Congress will be held in Cebu from January 24 to 31 next year, with an expected 15,000 local and international delegates.